Depicting the magnificence of the Roman Empire with gold coins and mighty Caesar himself spinning on its reels, Caesar’s Treasure has an imposing grouped Wild that doubles the prize for any winning combination it appears in. 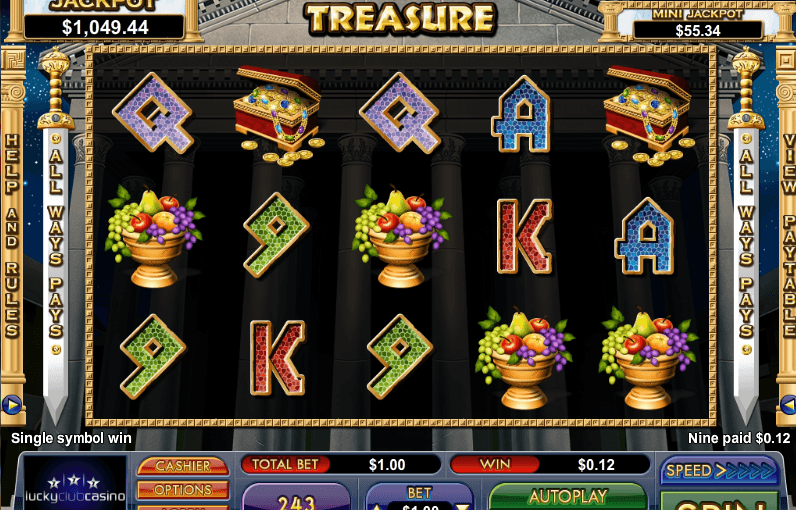 Three or more scatter symbols (a Roman soldier’s Shield) can trigger up to 162 free spins where all prizes are tripled. The new game from Nuworks’ All Ways Pay feature means there are 243 possible combinations.